TGIF People !!! I don’t know about all of out readers, but we surely are excited that the weekend is almost here, hopefully everyone has plans to go out and about. We know summer is 2 seconds away from arriving and your chance to wear leggings is almost gone! 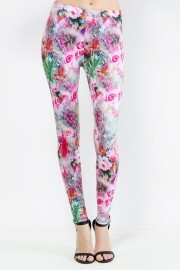 Check out our amazing collection of leggings before is too late ! Hopefully you’re into crazy prints as much as we are 😉 …. seriously, we love crazy prints.